Eurocom is now shipping a full line of professional grade Mobile Workstations powered by NVIDIA Quadro Graphics, with display sizes ranging from 15.6” to 17.3”. Eurocom Mobile Workstations are designed for the new breed of professional who must travel but still needs access to powerful, reliable and long lasting professional grade hardware. Supporting the most powerful mobile professional graphics solutions including the NVIDIA Quadro in Eurocom Mobile Workstations ensure they are able to run the most demanding engineering and design software with ease, while on the go. “At Eurocom, we offer a wide range of display, processor, storage and graphics options to our professional clients to ensure that each and every customer gets the exact system and capability that they need” Mark Bialic, Eurocom President. All Eurocom Mobile Workstations are fully customizable, allowing customer to choose exactly the components they require for their task. From the line of NVIDIA Quadro graphics to Intel Core i7 Processors Extreme or 8 core Intel Xeon Desktop Processors. 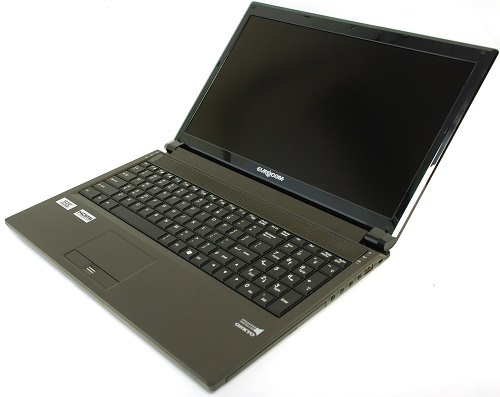 Eurocom Mobile Workstations are designed to support multiple, large capacity storage drives and RAID capability.